The Ministry of Health confirms today that it has received the results of a first test of zika sent to the Caribbean Public Health Agency. The sample sent to CARPHA came back negative for zika, but positive for dengue. The person in question is from the south and, at least for now; there is a sigh of relief because the results of seven other samples are still pending. 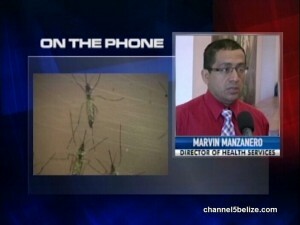 News Five spoke today with Director of Health Services, Doctor Marvin Manzanero.